Did you know that on September 14th, Mignonne collaborated with West Elm in Emeryville? We scoured their shelves for accessories, and the floor for furniture... to accent our lovely vintage Mignonne pieces. Lead Designer Johnelle Mancha and lovely crew put together a show case of how they create fabulous interiors for their clients, combining new and old styles! Johnelle went through the break down of how she goes about finding old gems with solid bones, that may initially appear to be run down, but have tons of potential to be customized in unique ways. Mignonne has the tools and ability to turn almost anything into your dream piece! 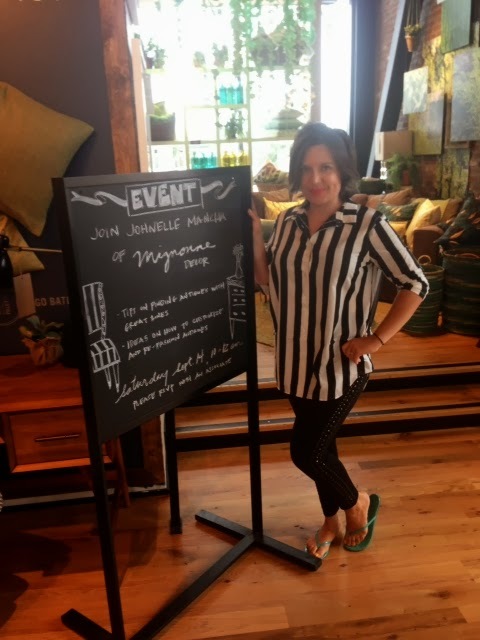 Johnelle Mancha, Lead designer posing in West Elm before the Event Started!! 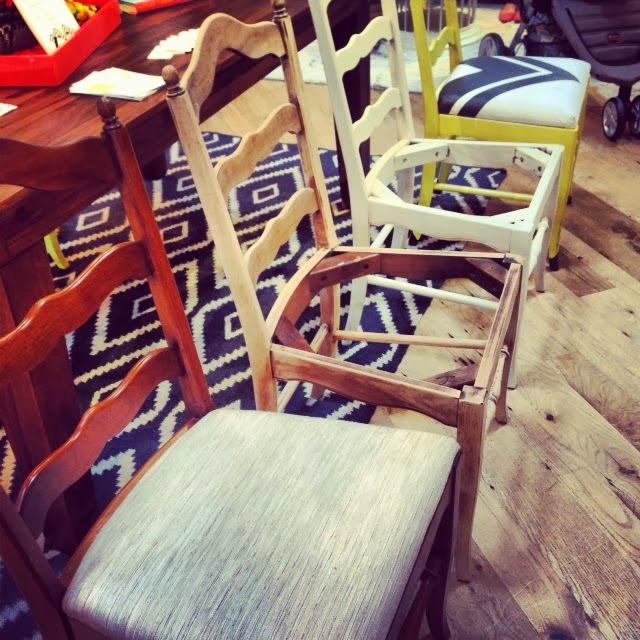 We chose to showcase a series of vintage chairs in their various stages of transformation, with a pop yellow and painted black tipped feet being the grand finale. Sometimes it can be so hard to conceptualize a piece's transformation, so it was so cool to explain this to the crowd! 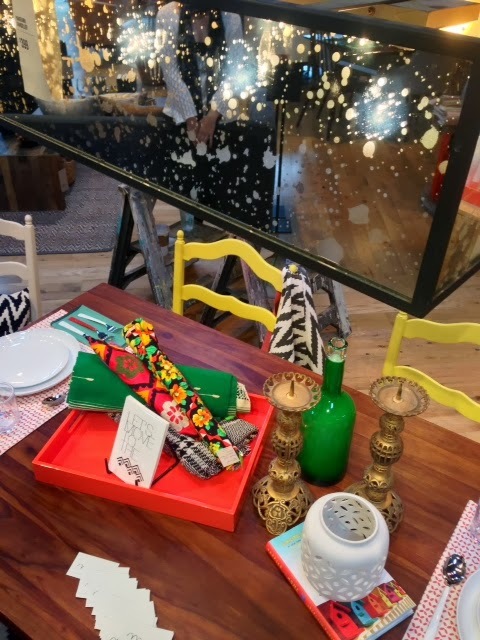 The chairs stood along side a mid century inspired West Elm Table, and accessories we put together to create our own look, including that pop colored lacquered tray we were all obsessed with, holding amazing vintage fabric remnants. Check out the variety of stages a chair goes through! From it's orginal on the left, to sanded, to primed and painted! 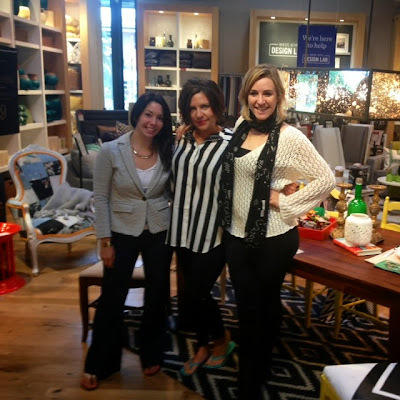 Part of our Mignonne Team: From Right Assistant Furniture Prep & Sales Associate Marie, Lead Designer/owner Johnelle, and Assistant Furniture Designer Seren! 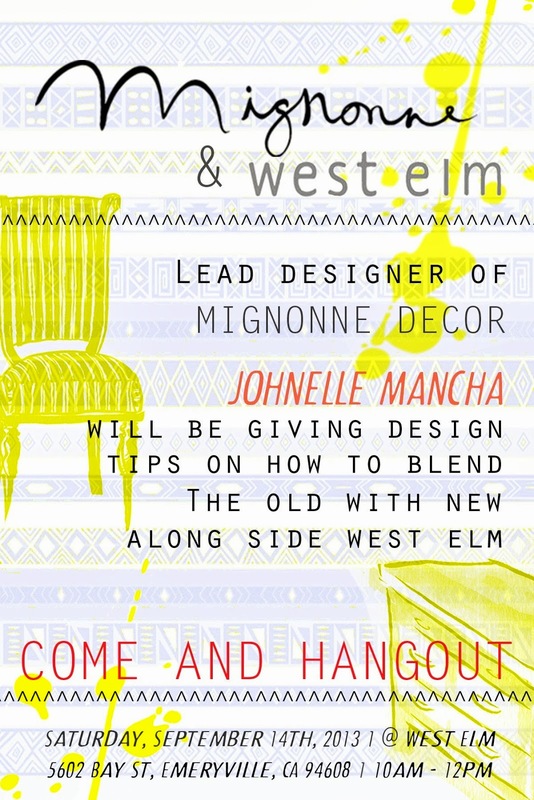 Check out Johnelle giving a distressing demo! !